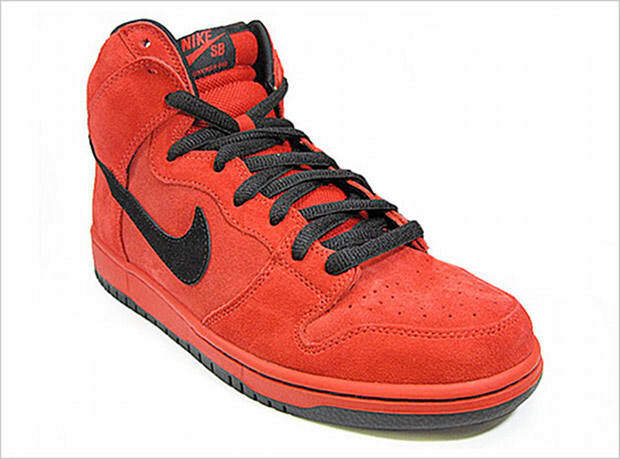 Nike SB Dunk High "Red Devil"
Apparently the Devil wears suede, at least when it comes to footwear. Nike SB rolls out an all-red suede upper for this Dunk High and adds contrasting black to fully get the Devil theme going, the only details that were left out was a pair of horns and a pitchfork. If this devilish theme is your cup of tea, head to Chapter Ex and pre-order now.